This listing is for the dog collar and bow tie set. Please see our shop to purchase dog collar separately. 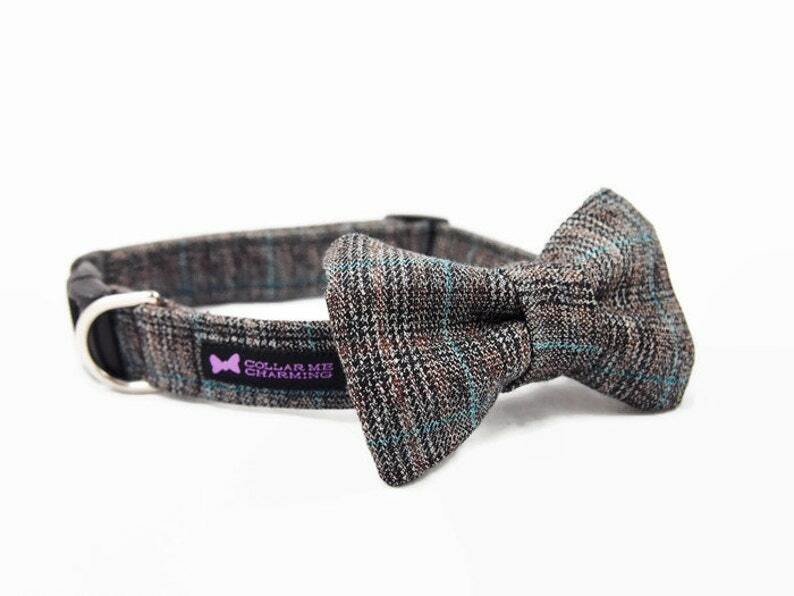 This gorgeous collar is made of suiting material with a black, grey, and brown subtle plaid with a dashing robins egg blue line throughout. Perfect for your Charming Pup!